Want to find out more about Office Empire‘s range of Office Furniture, Adjustable Height Table, Office Renovation Services or Office Relocation Service? Do drop us a line and we will get back to you! 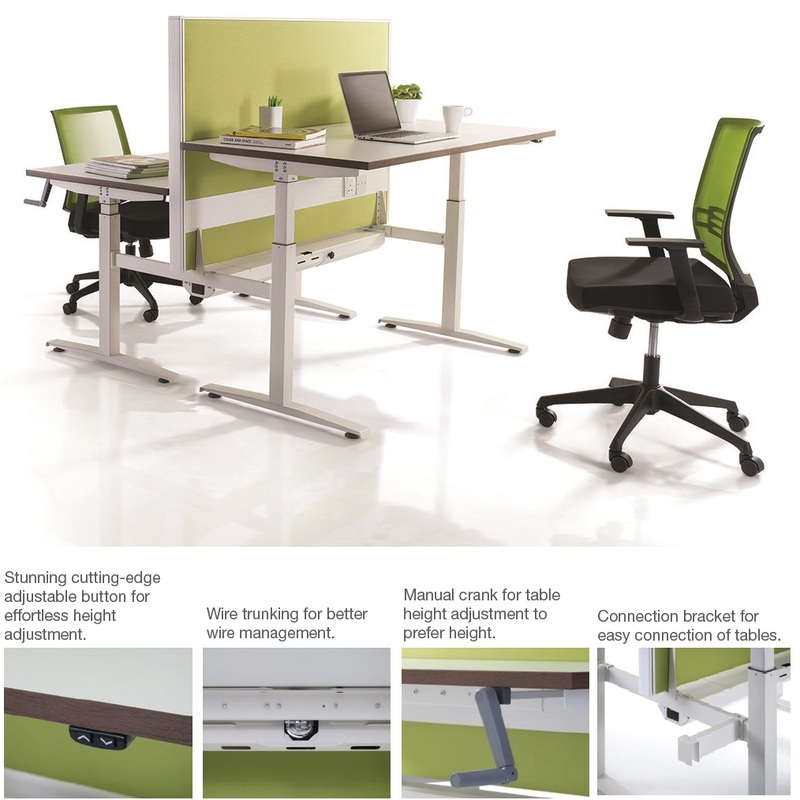 The height adjustable desk: a unique sit-and-stand office furnishing solution. The neck and back pain, a result of spending long hours sitting in a fixed posture, has become a popular issue that we, the modern society, see as inseparable feature of the office work. Many of us know this problem very well but it still seems impossible sometimes to change the status quo. 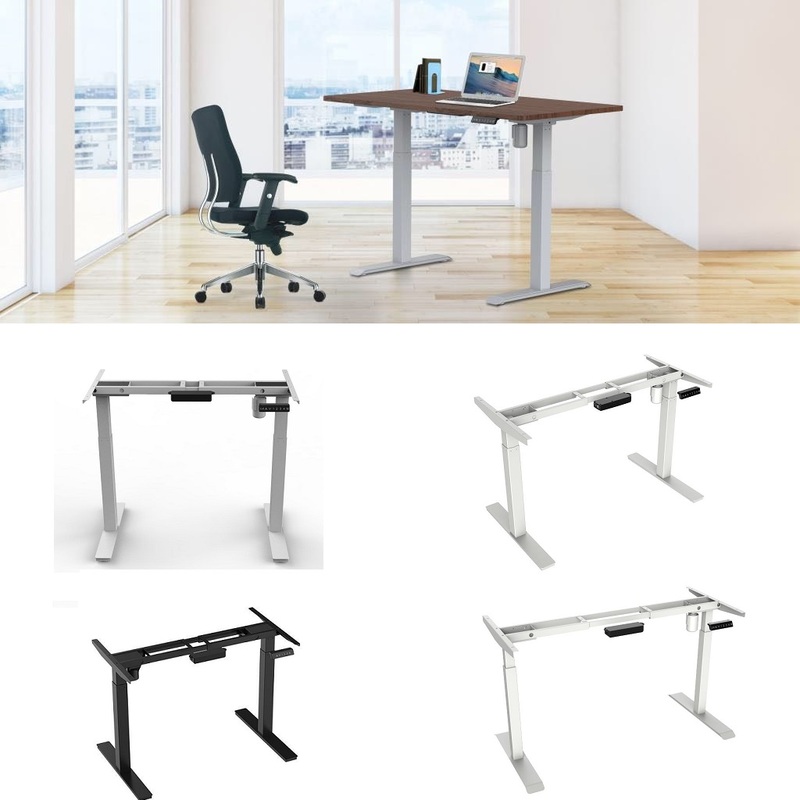 However, as we recently witness the sedentary working lifestyle rapidly spreading around the world, an attempt has been made to revolutionize our working space by introducing adjustable height office furniture. 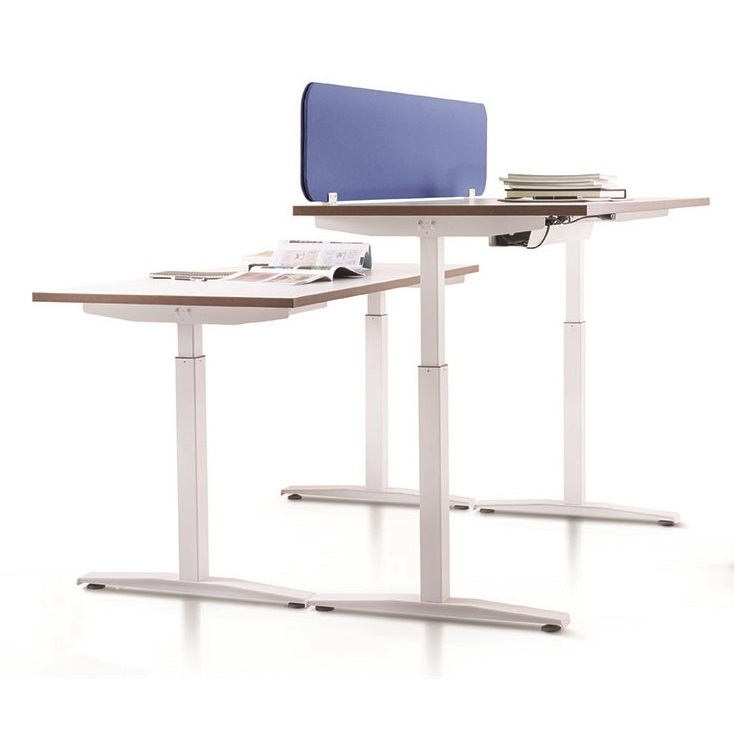 The height adjustable office tables were designed with the idea that the comfort provided by the workplace will increase the efficiency of the office workers. Therefore, the main benefit of height adjustable office furniture is its ability to combine comfort with efficiency, aiming at increasing the employees’ overall ergonomic performance. 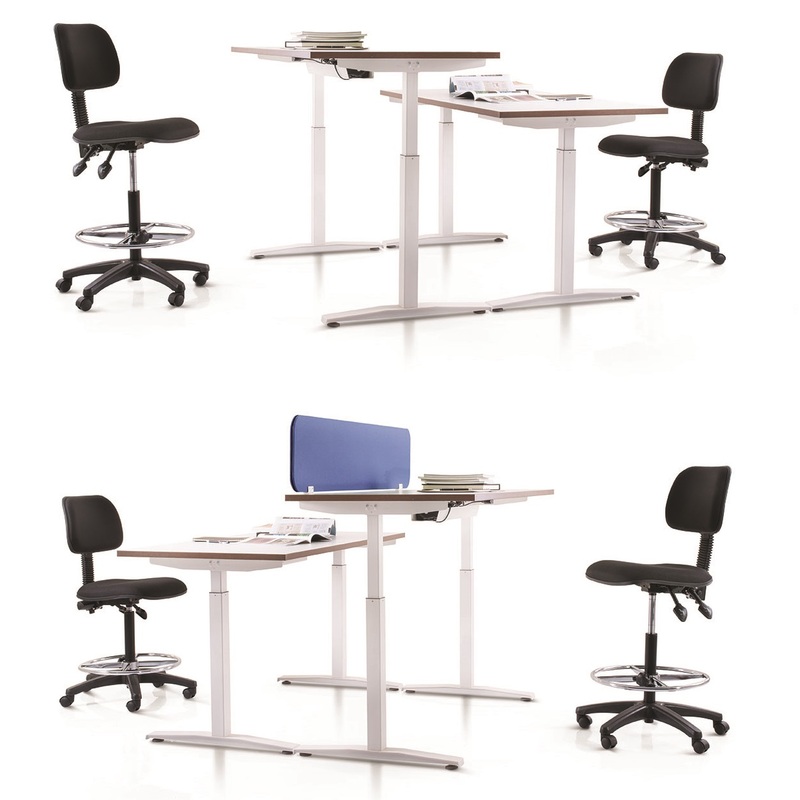 Throughout their stay at the office, the height adjustable tables can serve many employees while having capacity of being adjusted to each individual. This is why you should definitely consider equipping your office with those unique adjustable height office desks. One could ask, aren’t the high quality office chairs enough to offer employees good working conditions and comfort? It’s true that comfortable office chairs have been an important supplement to our workplace and their introduction was an essential milestone in the gradual change of our fixed stereotypes about the office work. However, it becomes increasingly apparent that comfort does not merely mean a soft office chair and a good-looking office, but a healthy lifestyle. It has been known for long that healthy lifestyle requires a proper daily amount of physical activity as, according to the World Health Organization, the lack of it became the fourth leading risk factor for global mortality. The sedentary lifestyle increases the risk of cancer, obesity, anxiety, depression, cardiovascular diseases and high cholesterol levels. In this situation, it becomes apparent that a comfortable office chair is definitely not enough. In order to ensure the proper quality of the office working space, we should opt for better resolutions. This is why the adjustable office desks are a great step forward in breaking the chains of the unhealthy sedentary working style. They are a unique equipment allowing the office workers to adapt a variety of postures, letting them sit and stand interchangeably, so they don’t have to constantly sit in front of the computer for long hours. Also, they allow the workers to free the back and neck from the pressure caused by a poor position. They not only offer comfort understood as healthy working conditions, but also the flexibility and personalisation of the office working space, what leads to higher work efficiency. Providing workers with a healthy environment is a good bet for any employer, as sedentary lifestyle and lack of motion leads to decrease in focus and creativity. We already know that the office sit-and-standing solution can provide countless benefits for the employees well-being. 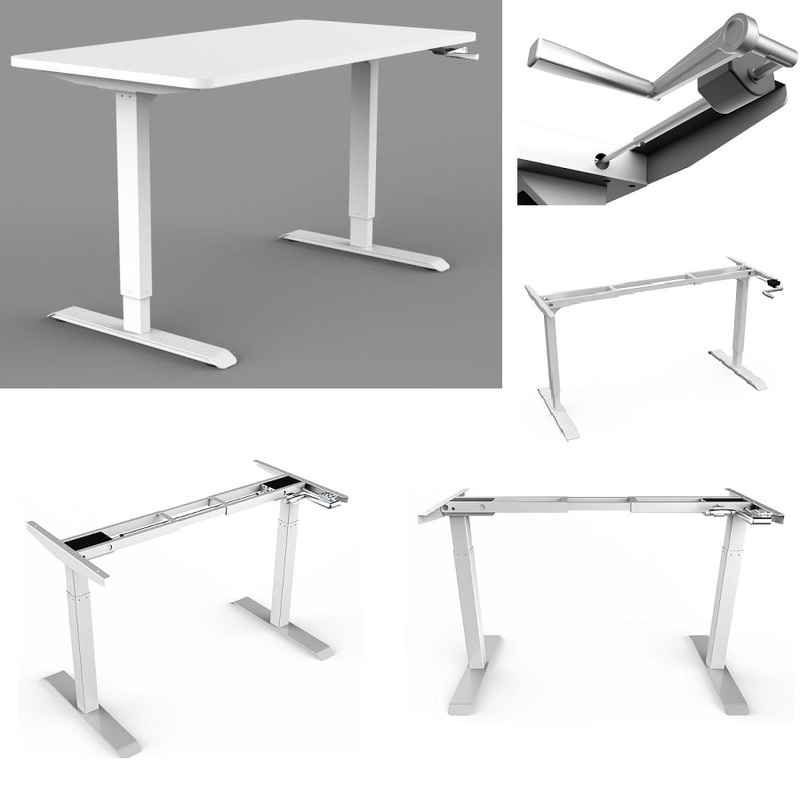 However, what features should we focus on when searching for a proper height adjustable desk? Here you have some advice you may take under consideration. First, it is obvious that adjustability is the most important feature. Your employees are of a different height and the table should be able to adjust to each on of them. Also, it should be possible to continue adjusting later on if necessary. Therefore, the table should not get stuck at any level. 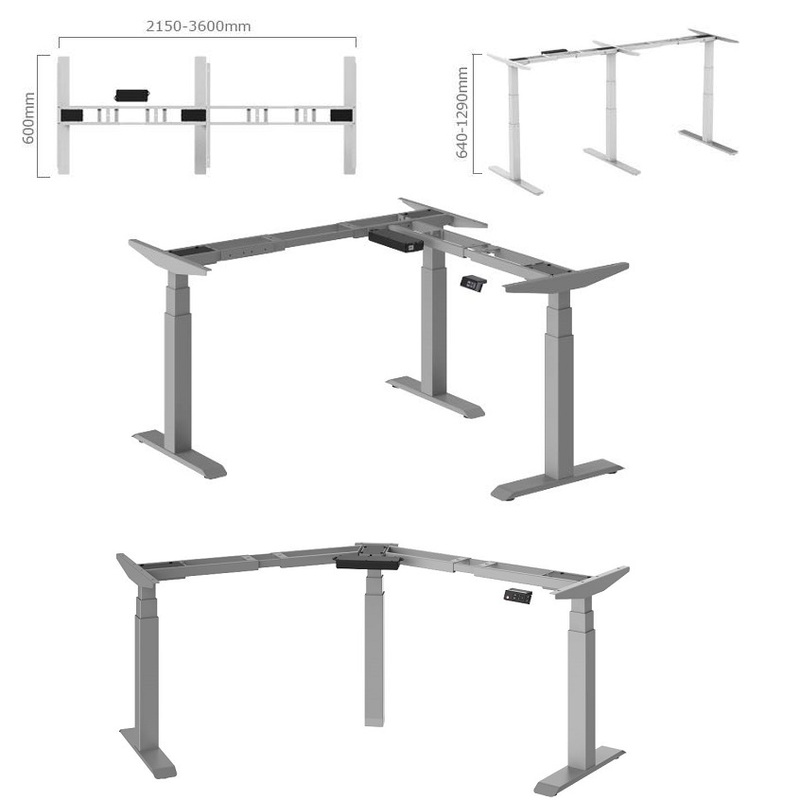 It is a very important issue little people know about when choosing an adjustable desk. The common problem which appears quite often is its stability. 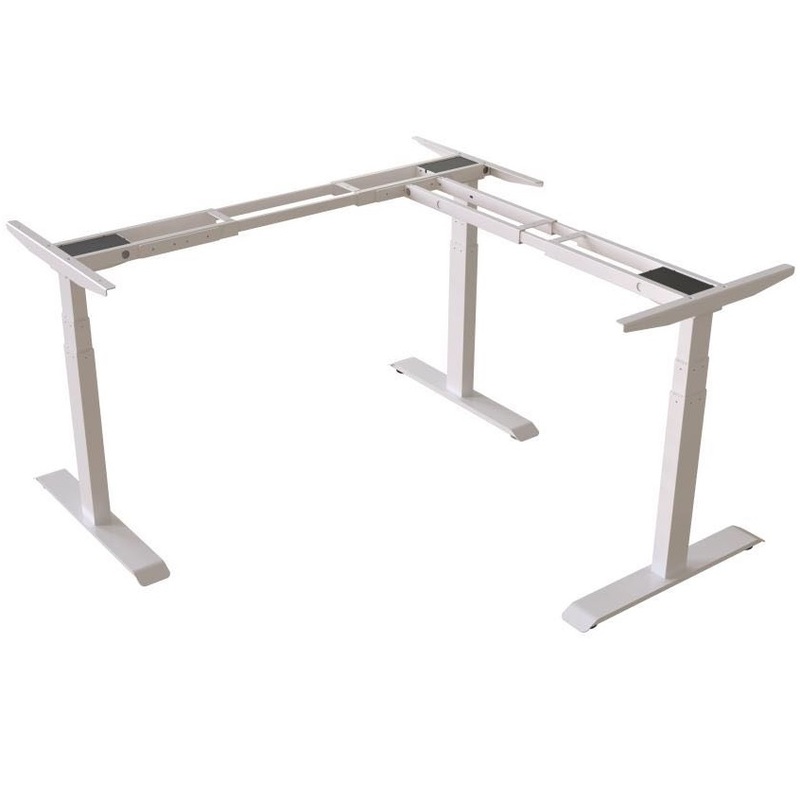 Some adjustable tables are less stable at higher levels, which may lead to the table shaking and trembling when used by a higher person. 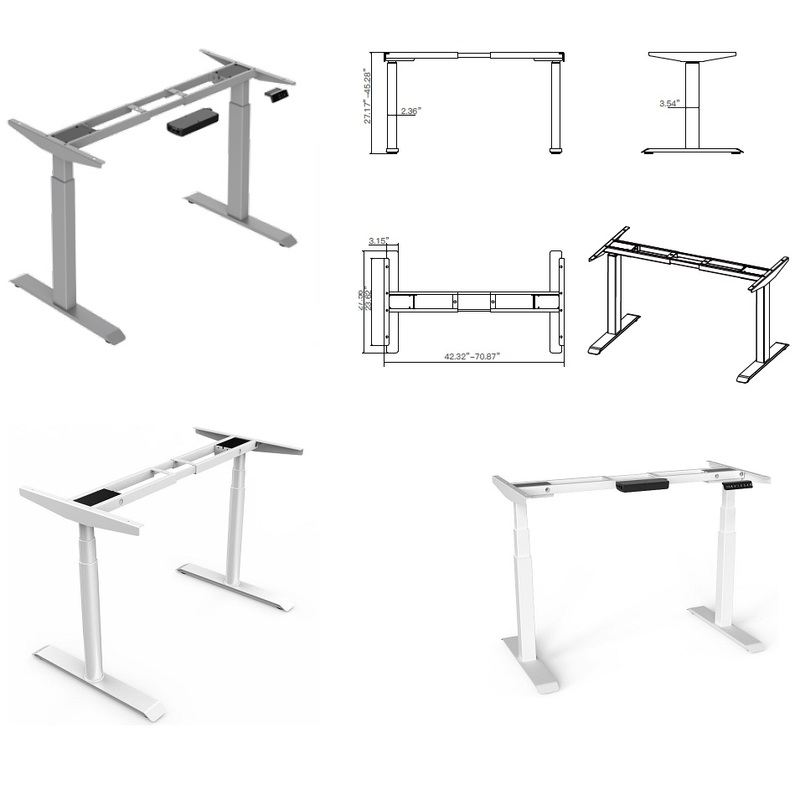 Therefore, you should make sure the height adjustable office desk you choose is stable at any level. It is more than likely that there will be a computer or other electronic devices placed on the adjustable table. Therefore, it is important to mention that in case of constant height adjustment you must think about adjustment of the devices’ cables, extension cords or power suppliers to the desk’s height movement as well. Some office desks have additional baskets under it to keep cables safe. No matter if you need a basket or not, you should think carefully about the cables’ adjustment issue. In general, the choice of the office table should depend on how much pressure you want to put on it. You should check if the weight of the devices does not exceed the maximum load the office table can carry (it is more important at higher levels of desk adjustment). 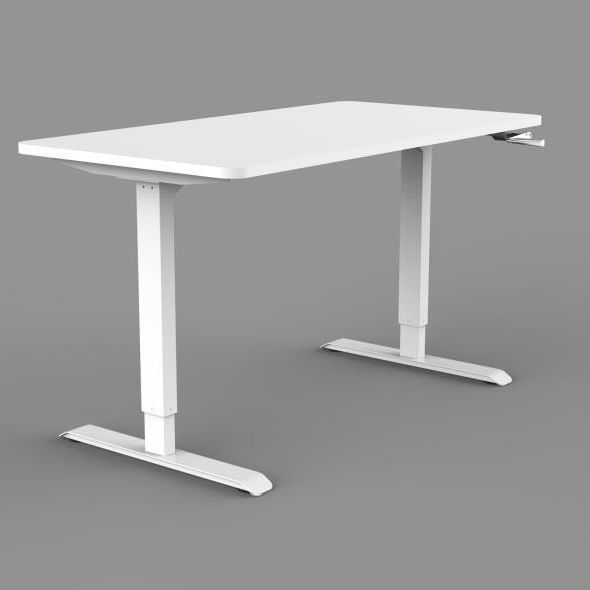 Some of the tables have electronical support, what allows them to record the height and immediately adjust themselves to the user. It is especially useful when more than one person uses the desk. However, it is obvious that the electronic version is more costly. Some of the adjustable desks have multiple surfaces, what is useful when you need not only a computer surface, but also a store place. It is a good option for employees who need a shelf space for their books, documents or to connect their laptop to the computer. 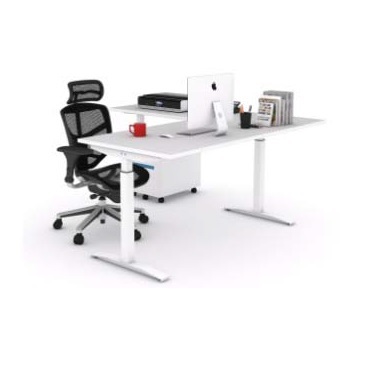 The choice of the height adjustable desk is a mixture between price and value, individual for every office. 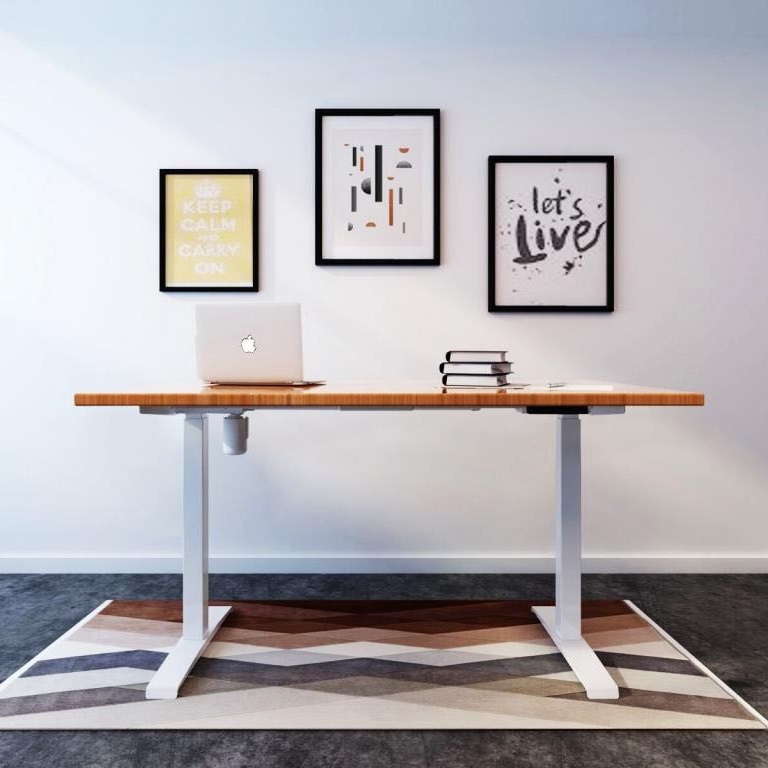 Therefore, it is important that you choose an adjustable height office desk appropriate to your own office, suitable to its style, space and budget. 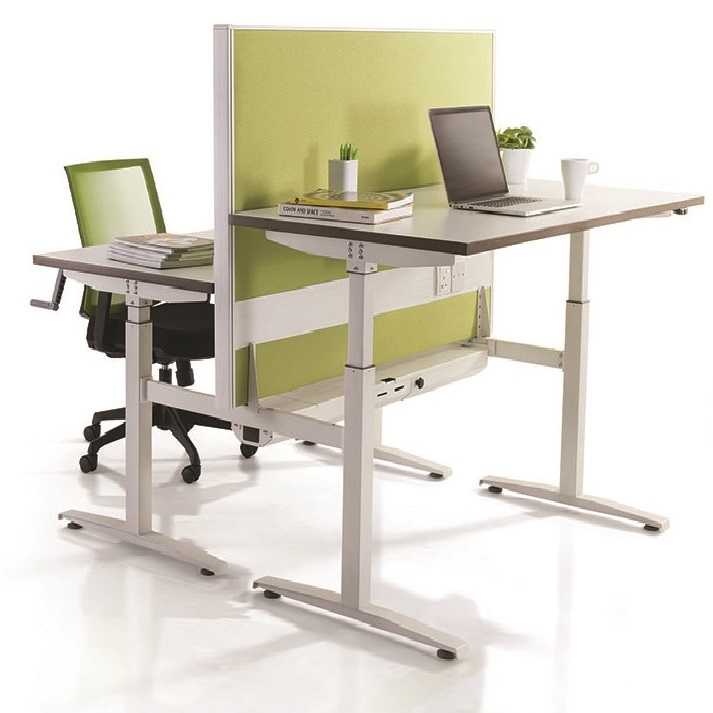 However, as our health awareness keeps growing, the adjustable office furniture is becoming popular. In result, it is very likely that adjustable desks will become an important part of our office workplace just like the good quality office chairs. 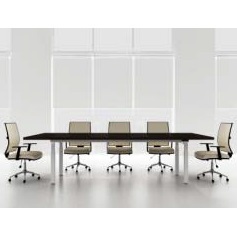 Consequently, it is more than probable that you will be provided with a wide range of office furniture to choose from. 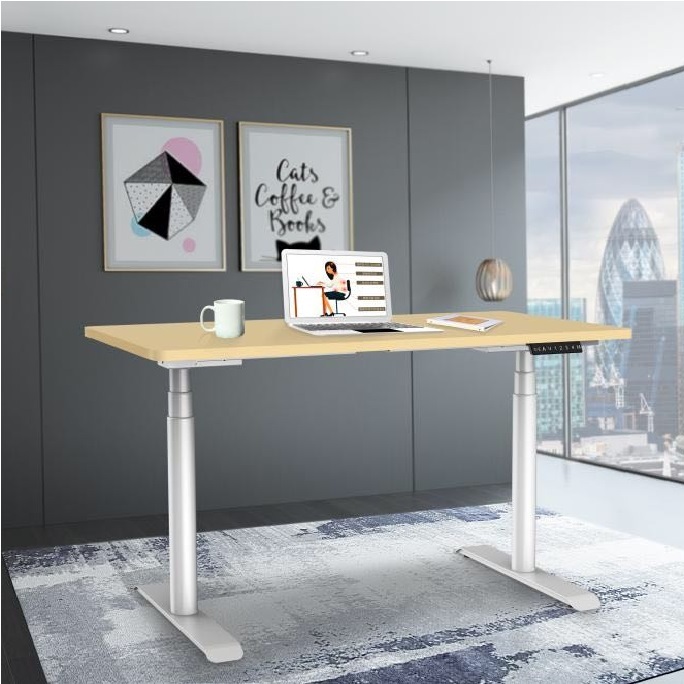 The unique features of height adjustable desks will help you to transform your office into a perfect working space, supporting creativity and healthy lifestyle by combining comfort and effectiveness.